Fall colors aren't limited to the landscape. 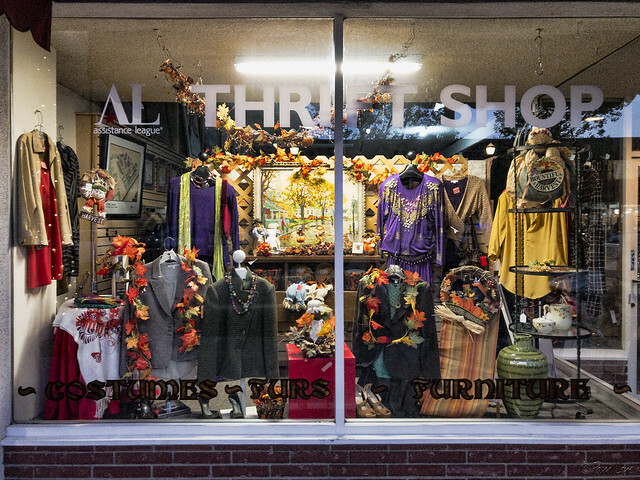 They also decorate the store windows at the Second Tyme Around Thrift Shoppe. "And all at once, summer collapsed into fall."